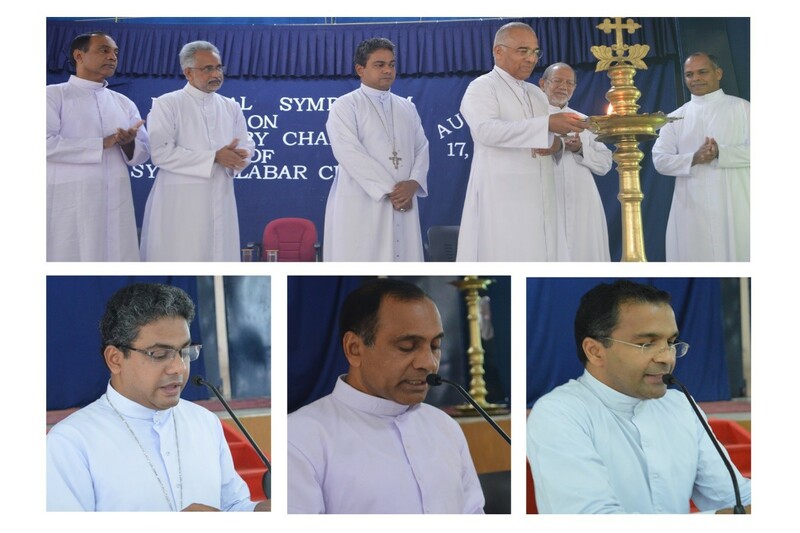 Paurasthya Vidyapeetam conducted a National Symposium on Missionary Challenges of the Syro-Malabar Church on August 18, 2018 at St. Thomas Apostolic Seminary. It was co-ordinated by Rev. Dr. James Puliurumbil. 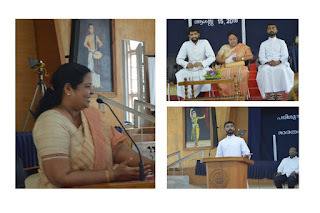 In connection with Varietas Ecclesiarum of His Holiness Pope Francis, the symposium intended to reflect on the missionary responsibility of the Church, especially, from the perspective of the Syro-Malabar Church. Due to the great deluge that plagued our state at that time, the symposium was cut short to one day; hence many dignitaries especially His Beatitude Mar George Cardinal Alencherry and His Excellency Mar Raphael Thattil could not took part in the symposium. Rev. Dr. Andrews Mekkattukunnel, President of PVP, welcomed the august audience. 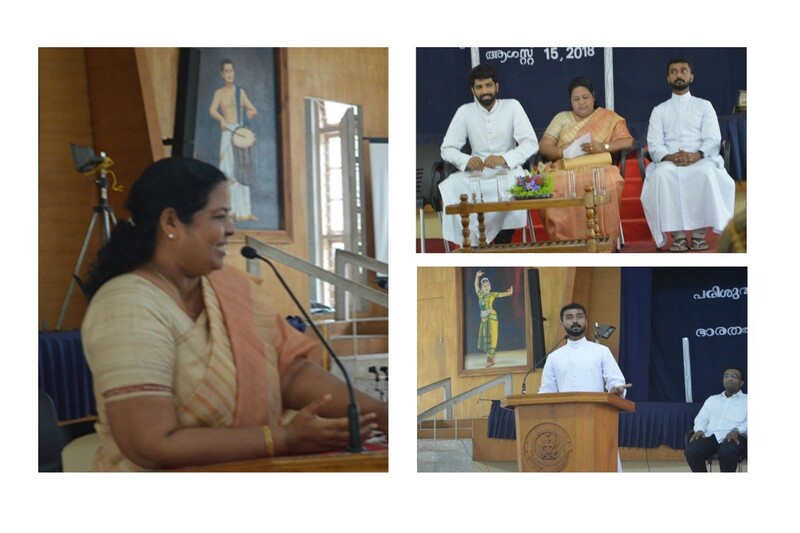 His Grace Mar Mathew Moolekkatt inaugurated the symposium and blessed the gathering with a thought-provoking message. Rev. Dr. Joy Ainiyadan, Rector, made the felicitation address. Rev. Dr. Vargheese Kochuparambil read out the inaugural address of His Beatitude Mar George Cardinal Alencherry in his absence. His Excellency Mar Antony Panengadan, Dr. James Puliurumbil and Dr. Pauly Maniyatt presented papers in the symposium. Rev. Dr. Dominic Vechoor read out the paper by Mar Raphael Thattil in his absence. The sessions were moderated by Malpan Rev. Dr. Mathew Vellanickal and Rev. Dr. Joseph Kaduppil. Mr. Tomy C. C shared his missionary experience in Odisha. 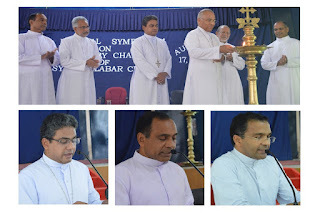 Deacon Martin Pattarumadathil evaluated the symposium and Bro. Sebastian Alappattu Kottayil rendered the words of gratitude. 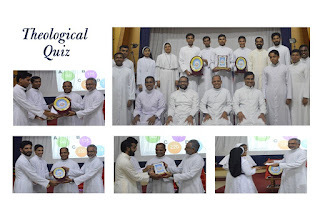 Our seminary conducted a theology quiz for the theology students on August 16, 2018 at 2.30 pm. A two-member team of representatives from our affiliated Institutions: Ruhalaya Ujjain, St Ephrem’s Satna, Good shepherd Kunnoth, Paurasthya Vidyanikethan MOC and the home team participated in the competition. The team from Good Shepherd Seminary Kunnoth won the competition with flying colours. 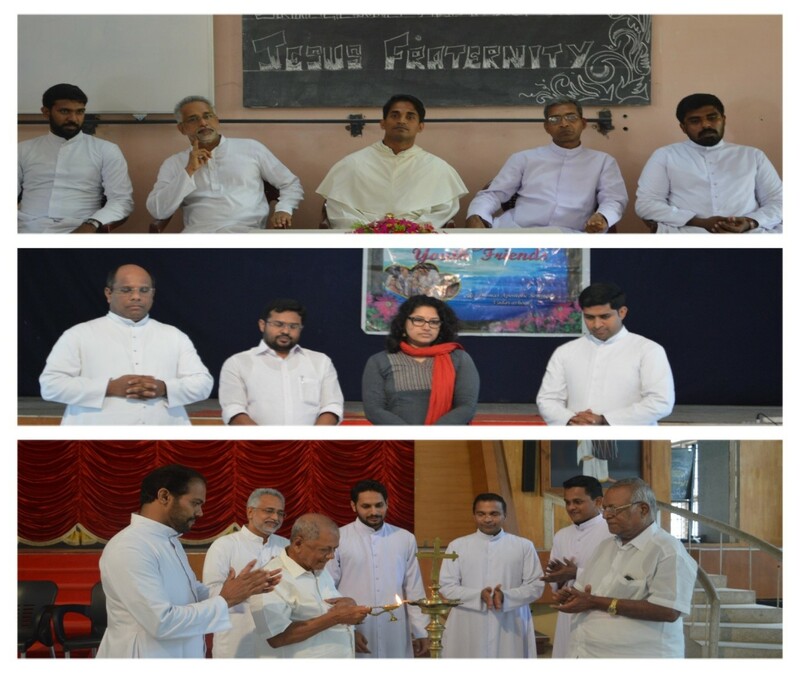 The seminary community exultantly celebrated the 72nd Indian Independence Day and the Feast of the Assumption of Virgin Mary. After the Holy Qurbana, Fr. Rector hoisted the flag in the presence of the whole community. The academy was conducted in the afternoon at 1.30 pm. The chief guest of the day was Dr. Kochurani Joseph. She is the former Head of the Department of Economics at Bharathmatha College, Thrikkakara. Besides she is a columnist in Sathyadeepam. Freedom is an eternal vigilance, said Dr. Kochurani Joseph. She advised the seminarians to develop sound moral standpoints in their lives. Bro. Sebastian Alappattu Kottayil and Bro. Bennet Vellakolambel conveyed their academy speeches in Malayalam and English respectively. Bro. Jestlin Thettayil welcomed the gathering and Bro. Sanu Ilampurayidathil expressed gratitude towards the community. On the eve of Independence Day, Santhom Theatres staged the mytho-poetical drama SUGANDHA VYAPARI by Kollam Kalidasa Theatres. The drama commenced at 7.45 PM at Cardinal Tisserant Hall. It was staged in front of an august audience comprising dignitaries from neighbouring institutions. 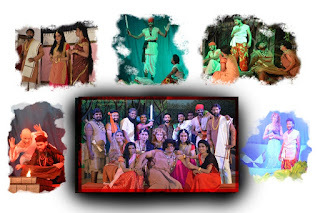 The drama was worth watching for its artistic beauty and dramatic excellence. The academy on the feast of St. John Marie Vianney was conducted on August 2, 2018 at 8.30 pm in the Cardinal Tisserant Hall. The president of the meeting was Rev. Thomas J. Parayidom. He is working as the Director of the Social Service Department and of the Jeeva Medicals in the diocese of Kothamangalam. Bro. Nijo Vadakkeaetathu and Bro. Maxin Pozholiparambil delivered their academy speeches. St. Thomas Apostolic Seminary celebrated her Heavenly Patron’s Dukhrana on 3 July 2018 with the most solemn Holy Qurbana. The chief guest of the academy was Mr. Sabu de Thomas, retired professor, St Thomas College Palai. He exhorted the community the necessity of having a strong spiritual orientation in a hostile society. 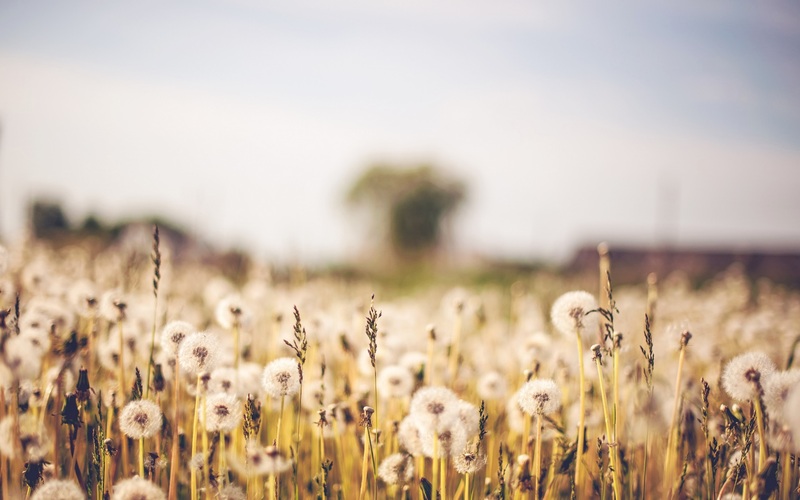 The priest must be compassionate and avoid material inclinations, said Mr. Thomas. Bro. George Pallikamyalil VC and Bro. Frank Kannanayikkal delivered their academy speeches. 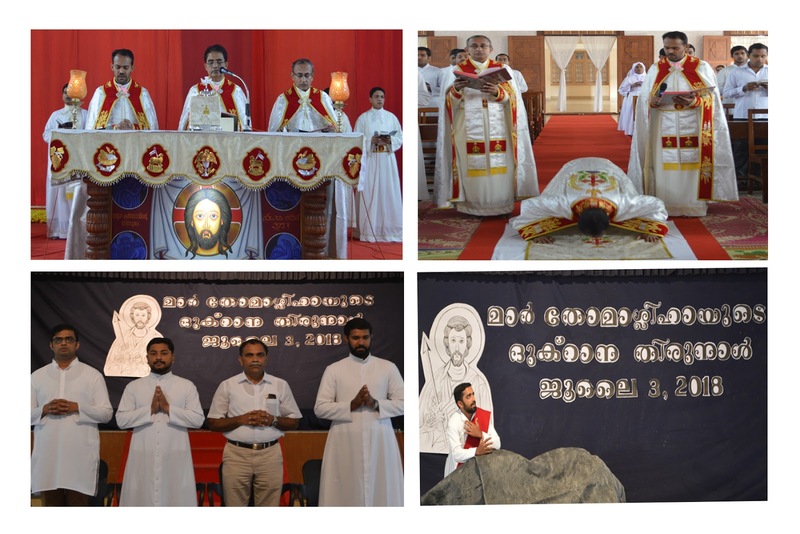 The fifty first Deacons drama in St. Thomas Apostolic Seminary was staged by 2018 Deacons Batch on 29 June 2018 in Cardinal Tisserant Hall. 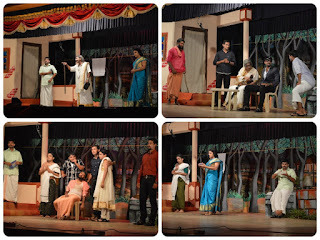 The Iuventus Media staged the play, Swapnagal Vilkannund by Amala Communications, Kanjirappally. The play was written by Francis T. Mavelikkara and was directed by Deacon Petson Thekkineth. The actors beautifully staged the socio-cultural impediments faced by endosulfan victims. It was a real-life portrayal of the victimized. Along with seminary community, representatives from nearby cultural and religious institutions watched the performance. The actors received great appreciation for their endeavor. The Synodal Commission for the seminary and PVP arrived on 26 June 2018. His Excellency Mar Joseph Perumthottam is the chairman of the commission and His Excellencies Mar Joseph Kallarangatt and Mar Jose Puthenveettil are the members. 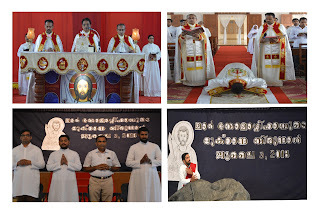 Mar Joseph Perumthottam concelebrated the Holy Qurbana with the priests at 6.15 a.m. The commission addressed the aspirations and anxieties of the students in every cycles of studies. At 12.10 pm there was a common gathering in the auditorium, where the bishops shared their views. The commission also met with all the teaching and non-teaching staffs in the community. The visit came to an end by 6.00 pm. Seminary community is blessed with multiple opportunities to follow the command of their divine master, Jesus Christ. Jesus Fraternity, Youth Friends and ROS groups provide space for action. The activities of Jesus Fraternity and Youth Friends were inaugurated on 9 June 2018; and the activities of ROS group on 15 June 2018.